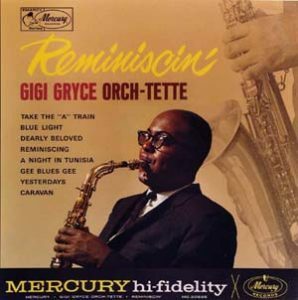 The saxophonist, arranger and composer Gigi Gryce (1925-1983) is another figure of the 1950s whose contributions are overlooked and worthy of reinvestigation. To this end, Michael Fitzgerald and I initiated in 1997 a substantial research project aimed at clearing up many of the misconceptions which surround the mysterious Gryce (known by his Muslim name, Basheer Qusim in his later years as an educator) and resurrecting his music. Over 70 interviews were conducted with musicians, relatives and observers of the music scene during the relatively short period that he was active. Our efforts culminated in the 2002 publication of “Rat Race Blues: The Musical Life of Gigi Gryce” (Berkeley Hills Books, Berkeley, CA). This award winning biography, for the first time, tells the true story of this often overlooked figure and illuminates his contributions to one of the richest periods in jazz history. Included are a foreword by Benny Golson, and over 30 photographs. 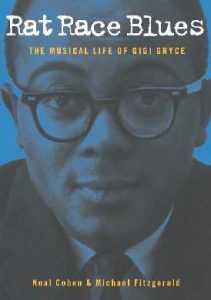 The updated second edition of “Rat Race Blues: The Musical Life of Gigi Gryce” is now available (October 2014). For the Gigi Gryce Discography and other important information associated with the book, see the Gigi Gryce pages menu above. While known mainly for his consummate writing skills, Gryce was also an original although largely unrecognized player whose solos manifested great lyricism and structure. His style was clearly influenced by Charlie Parker but his tone and conception were unique when viewed within the context of the many fine alto saxophonists of his day. Gryce’s best known composition is “Minority” which has been frequently recorded. Many of his other works such as “Nica’s Tempo,” “Up in Quincy’s Room” and “Shabozz,” written in the early 1950s, exhibit unusual forms and harmonic structures and presage later developments in jazz composition. “Social Call,” with lyrics by Jon Hendricks, has been performed by many singers including the late Betty Carter. Gryce’s catalog is published by Second Floor Music from which source lead sheets of several of his compositions can be downloaded. 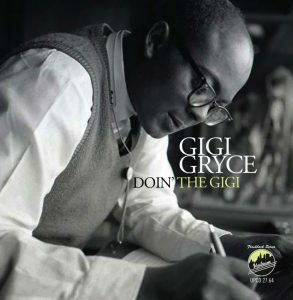 A CD of previously unissued Gigi Gryce performances, Doin’ the Gigi, has been issued by Uptown Records. A CD of Gigi Gryce music by the Chris Byars Quintet, Blue Lights: The Music of Gigi Gryce, has been issued by Steeplechase Records and available for purchase here. If you have any questions, comments or information regarding Gigi Gryce, please email me.